We pride ourselves on offering superior quality products, using the best components and materials to guarantee long-life performance, high light output and enhanced durability. To reflect the high quality of our product portfolio, every Sensio LED Lighting product (in which the LED's are integrated within the fitting) comes complete with a 5 year guarantee. Interchangeable LED lamps supplied within ceiling luminaires or individually have a guarantee period of 12 months. LED products (in which the LED's are integrated within the fitting) within the bathroom lighting range carry a guarantee of 2 years. After the first year proof of purchase must be shown. Please keep your invoice and delivery note as proof of purchase. This guarantee commences from the date on which the purchase was made directly with Sensio Ltd. The product has been installed by a qualified electrician. The product has not been altered or modified in any way. All components used with the product are correct (i.e. the LED driver used is of the correct voltage and adequate wattage to run the connected product(s)). Misuse of the product voids any warranty. The product has not been tampered with. Without original proof of purchase, Sensio hold the right to decline any warranty claim outside of the one year guarantee. If the defective product is no longer a current stocked product line, an alternative product of a similar design and specification will be supplied. Any replacement product supplied will be guaranteed for the remaining unexpired period of the original 5 years from original date of purchase (2 years for bathroom lighting products). 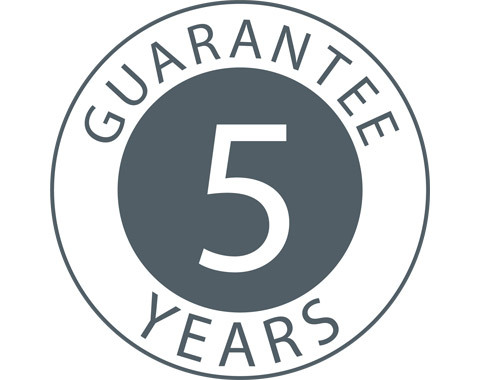 The 5 year guarantee is effective on purchases from the 1st January 2015 onwards only (2 years for bathroom lighting products).